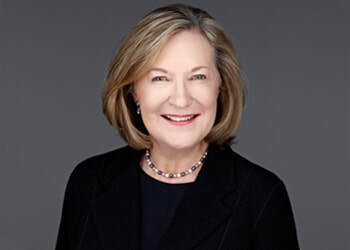 Marie Swift - Impact Communications, Inc.
A thought leader for thought leaders, she is known for bringing some of the industry's best and brightest voices together for dialog and debate. Her Best Practices in the Financial Services Industry blog, which can be found at www.MarieSwift.com, provides insights and advice for financial advisors and the institutions that serve them. Marie is known for bringing good ideas to financial advisors through her speeches, presentations, podcasts and written works. Over the past twenty years, Marie’s articles and expert comments have been published by Forbes.com, MarketWatch.com, Barron’s, Wall Street Journal, Executive Roundtable Journal, NAPFA Advisor magazine, MorningstarAdvisor.com, Horsesmouth.com, Financial Planning magazine, Financial Advisor magazine, On Wall Street magazine, Research magazine, RIABiz.com and ThinkAdvisor.com. Marie is always tinkering with marketing formulas and bringing fresh innovative ideas to the financial services industry. A recent example: In 2018, she created and brought to life a first-of-its-kind experiential training course designed to catapult advisors to a new level of celebrity status and clout. The Advisor Thought Leader Summit held November 9 and 10, 2018 at the University of Chicago Gleacher Center was a great success. As a result, The Advisor Thought Leader Video Channel is now a reality. PR, social media, digital presence, selling skills, and all forms of marketing and professional communications are her key areas of expertise. She has spoken at major industry conferences such as IAA, FPA and NAPFA events, and other national conferences hosted by allied institutions such as the AICPA, Alliance of Comprehensive Planners (ACP), Barron's Top Women Advisors, Fidelity IWS, TD Ameritrade Institutional, Schwab Advisor Services, Pershing Advisor Services, Transamerica Financial Services, Cetera Financial Network, Securities America, Investacorp, Garrett Planning Network, Kinder Institute, and many more.